The Board of Cyviz AS is pleased to announce that Espen Gylvik has been appointed as new CEO of Cyviz. 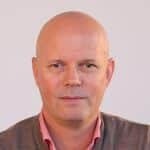 Mr. Gylvik joins Cyviz from his position as CEO at Unified Messaging Systems AS and brings extensive experience from the IT and technology sector with key management positions at Microsoft both in Norway and internationally, Evry and Netcom. Espen Gylvik will take on the CEO position at Cyviz effective November the 15th, 2018. The Board would like to take this opportunity to thank Joar Vaage for the 20 years of hard work and commitment that he has put into Cyviz, both as founder and CEO, and for the remarkable achievements the company has reached during these years. In addition, the Board would like to thank Erik Fausa Olsen for filling the role as interim CEO (in addition to his CFO duties) in an exemplary manner for the last 5 months. “I look forward to joining the global Cyviz team and helping more customers embarking on the digital transformation journey. The Cyviz solutions have proven to solve common meeting challenges in an elegant manner, and furthermore, contributing to making meetings and collaboration more dynamic, productive and innovative. It can be an important differentiator for organizations dealing with complex problems, critical operations, and decision-making.” says Mr. Gylvik.